Some of my friends only socialize with their long-time friends and never try meeting anyone new. I disagree with their approach. 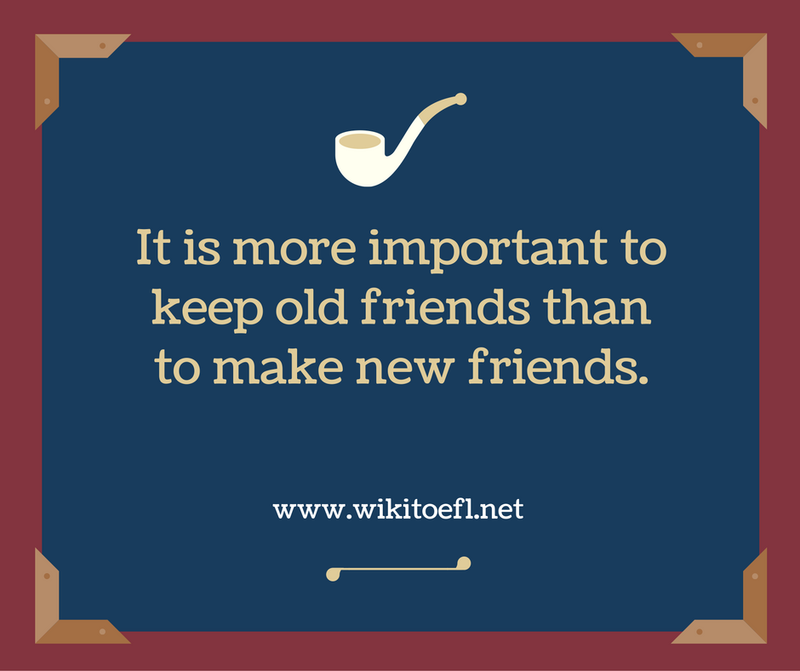 In fact, it is often better to make new friends than to keep old ones. I love making new friends because of the possibilities that exist. New friends expose you to new ideas, actions, and opportunities. With old friends, people often do the same things as usual. But I like doing new and different things, and I can have the chance to do these things by- making new friends. Two weeks ago, I made a new friend. She loves watching movies like me, so we saw a couple of films together. We had a great time; in fact, it was the most fun I have had in a while. If I had been with my old friends, I could not have had such a fun time because they do not like movies. Moreover, old friends often become boring as time goes by. One reason is that people tend to change as they age. When your interests change, it is natural that your friends will, too. As a child, I loved video games. My friends and I often met after school and played video games for hours. But, lately, I have lost interest in the games, so I have slowly started meeting these friends less often. Instead, I have been getting into sports, so most of my new friends like basketball or soccer. I do not feel bad about changing friends. I love making new friends more than keeping old ones. If you make new friends, you can get more chances to do different activities. Also, you can sometimes become uninterested in meeting your old friends since you have lost common interests. Changing friends and making new ones can give excitement and vitality to your life.